It is very hard to keep up with searching for the perfect dolls house, with many online retailers to buy from such as Asda, Smyths, Toys R Us, eBay and Amazon etc. So let us here at BFUK take the strain away, as soon as Dolls House deals go live on Black Friday we will list what we can. 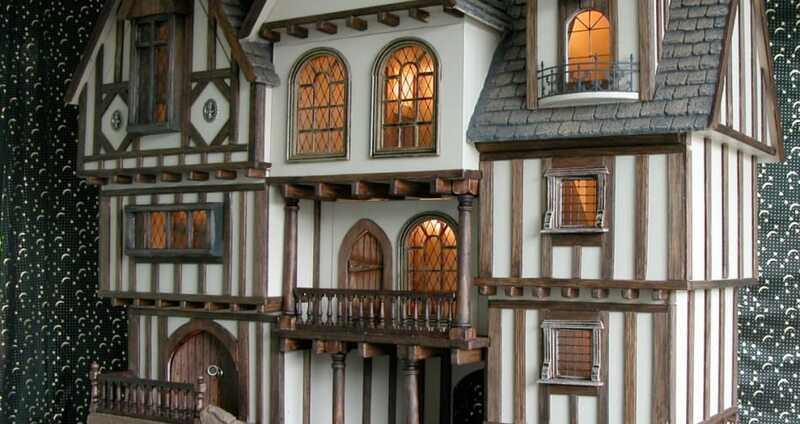 We will be mainly sharing toy doll houses here, but we will also if they arise provide the collectible models. There are so many styles and accessories as well such as dolls house lighting, wallpaper and furniture etc, as so there are all types of houses like wooden ones, Emporium and Barbie plus many more. One that is very popular is the Plum Tillington 3 Story wooden dolls house, which comes with 14 piece set furniture and 7 luxurious rooms. Other names to watch out for include Le Toy Van, Fisher-Price and KidKraft – Have fun and happy shopping. What are the best online stores to keep an eye on during the 2016 Black Friday event that starts in a couple of weeks for quality doll houses? WOW, this is amazing – The Plum Camden Court Wooden Dolls House at Asda George online is now priced at only £29.97 reduced from £79.97 – that is a great saving of £50. Reduced from £85 to £79.99 is the pink Mamakiddies Victorian Wooden Doll House with furniture and dolls. This is only like £5 off but it is a good deal. Hi I am looking for this to for my daughter have found it on asda website for £139.97 that seems to be the cheapest in uk so far am waiting for black friday hopefully somewhere will reduce price. Just saved £4 on the Barbie Chelsea and Friends Clubhouse over at Argos now only playing £19.99. There are many other deals but worth waiting another day for better sale deals. I cannot seem to find anywhere in the UK selling the monster high house deadluxe school play set any cheaper than £149.99. Please help me get for a lower price. I am very much after any Barbie doll house, i have heard the dream house is very popular so will there be any Black Friday deals on these? My little gal really would love the KidKraft Magnolia Mansion but i cannot afford £130. Please list this come Black Friday, will love you guys lots. The Frozen dolls house is really popular at the moment even though the rooms are rather small, the cheapest i have seen is like £120, is this going to get any cheaper? My nan had a stunning dolls house, everything was made by herself because she said things were so expensive. I remember once she said her one was a lot of money after having it valued, and once before she made her own stuff said she paid like £100 for a little miniature table for the dining room. The table going to be passed down to the next oldest girl in the family, which my nan wanted and i am very happy about this as we get to see her creation forever.